José R. Hernandez is the founder and Chief Executive Officer of Ortus. Hernandez was founding partner of FGI Europe, a consultancy firm he set up with former former FBI director, Judge Louis J. Freeh, in 2008. He still acts as a Senior Advisor for Freeh Group International Solutions. Throughout his career, he has worked on some of the largest fraud, bribery, and money laundering cases on record. 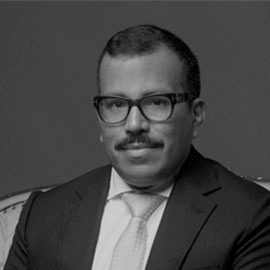 He has served as Deputy Independent Corporate Monitor and Independent Compliance Advisor to several leading organizations based in North America and Europe. His professional work has focused on advising clients across a wide range of sectors, including automotive (Daimler), engineering (Siemens, SNC-Lavalin, Bilfinger), retail (Royal Ahold), telecommunications (Telia), and international sport (FIFA). Hernandez was a partner with PwC, having worked in Canada, the United States, Europe, and Latin America. Hernandez also holds degrees in Mathematics and Accounting from the University of Waterloo. He is a Chartered Professional Accountant (Ontario), Certified Public Accountant (Delaware), and Chartered Financial Analyst. He serves on Canada’s Advisory Committee on Money Laundering and Terrorist Financing, representing CPA Canada. He is the author of Broken Business: Seven Steps to Reform Good Companies Gone Bad (Wiley Business, 2018), an acclaimed book that reveals the real reasons why corporate scandals happen – and how corporate leaders can work to avoid them.